Elliptic cups create more torque & high linearity for improved data consistency vs. conical cups over a wide range of weather conditions. Very low start speeds, fast response and accurate long-term wind data are their inherent benefits. Elliptical cups offer a larger wind blown area than circular cups for higher torque and low start speeds. They are also flatter than conical cups for superb off-axis response and reduces effects of rain and snow on anemometer linearity. These benefits of elliptic cups also offer superb linearity, not before possible in such a compact anemometer. MEASNET linearity and angular response has never been this compact. Elliptic cups allow MeteoWind 2 to shine in all-weather. 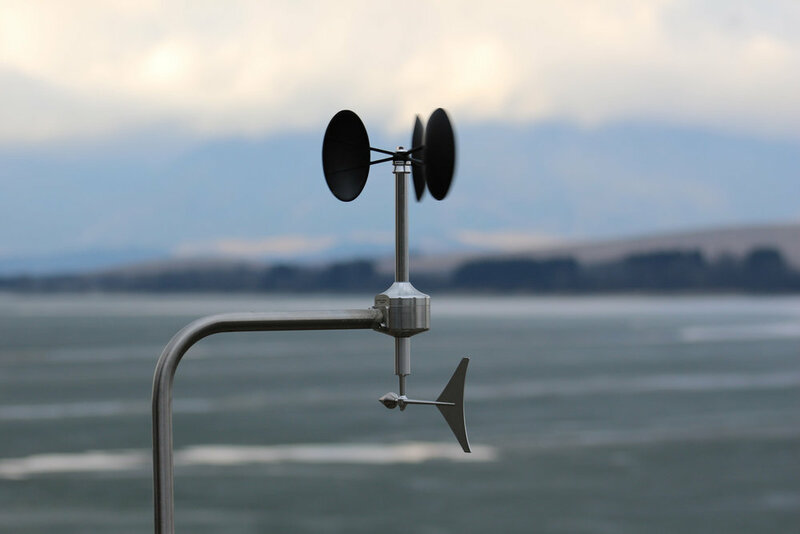 Single point wind speed and wind direction data compared to separate anemometer wind vane installations means that wind data quality has never been so good. Developed and proven road weather applications, MeteoWind 2 is able to survive. High quality single point wind speed and wind direction data. Increase your data quality & reduce your uncertainty to manageable levels. Reduce your data analysis time. Get MEASNET precision in one compact instrument. Reduce your installation time or double your wind speed and wind direction data density and reliability. Featuring oversize bearings with heating and triple-level lightning, EMI, ESD and surge protection for reliable operation in all-weather. Tough anodized aluminum corrosion resistant body with fiber reinforced plastic (FRP) cups ands additional robustness. Flat elliptical cups and bearing heating significantly reduce snow & ice buildup in extreme weather compared to conical and circular cup anemometers and allow MeteoWind 2 to maintain accuracy. Optimize installation efficiency and reliability. Install one sensor instead two (separate wind vane & anemometer) for wind resource assessment. Reduce your wiring. Comes with 3-stage lightning protection. IP67 connector protected in a stainless steel Ø20 mm side mount. Remotely adjustable north for easy installation. Serviceable rotor cups & bearing. Certified for aviation use per ICAO & WMO guidelines. Obtain high quality wind speed and wind direction data in all-weather with protection from lightning and field serviceability. Wind speed accuracy and dirt resistance of MeteoWind 2 also permits very long maintenance intervals while meeting WMO requirements. Strong and durable anodized aluminum body creates a robust platform for mounting. Body shape and circumferential grooves contribute to the anemometer's full-scale linearity and accuracy, while a bayonet connector with IP67 rating down to -40 °C provides reliable connections. The use of 3-stage lightning protection is complemented by the RS-485 digital output which has inherently high resistance to interference and is therefore most widely used communication interface in tough industrial environments. Together, they are able to ground out any unwanted electrical interference from wired connections. Heated MeteoWind 2 adds body and ball bearing heating to the already robust MeteoWind 2 anemometer with wind vane. The photo clearly shows how anemometer heating can benefit data reliability in tough winter climates. While it does not completely eliminate ice buildup on the anemometer cups and wind vane, it significantly reduces the icing effects and prevents the anemometer and vane from completely icing up. Offering MEASNET accuracy in a combined wind sensor designed for wind resource assessment studies and professional weather station use. Featuring reduced cost of ownership and higher reliability compared to separate wind vane & anemometer installations. 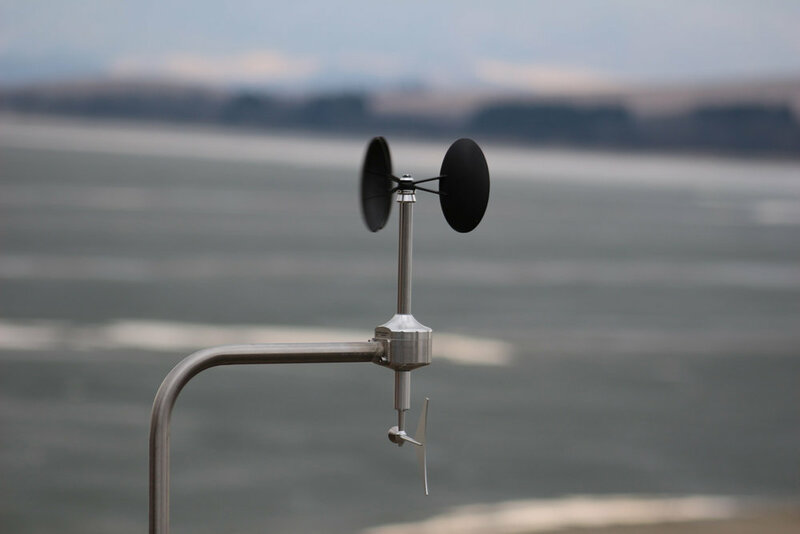 MeteoWind 2 significantly exceeds WMO accuracy requirements, thus offering long service intervals and long-term economic benefits for weather station use.